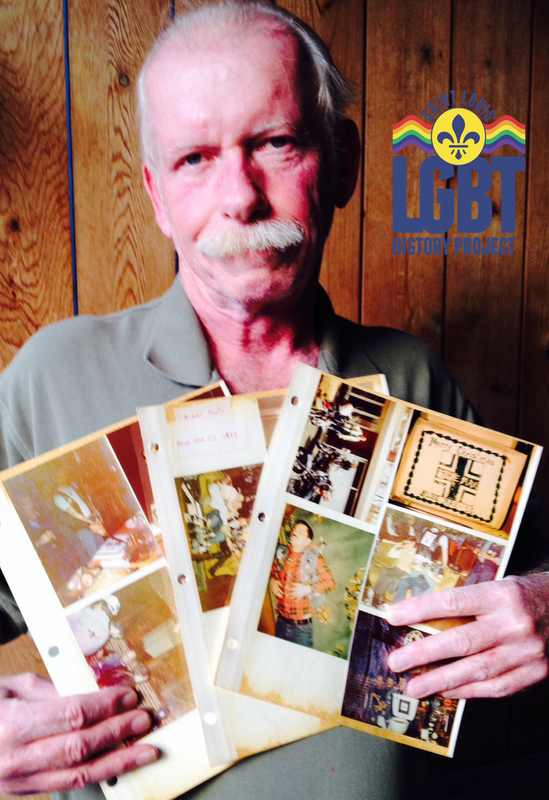 November 30, 2013: The Project thanks Mark Swain for his latest donations to our archives. 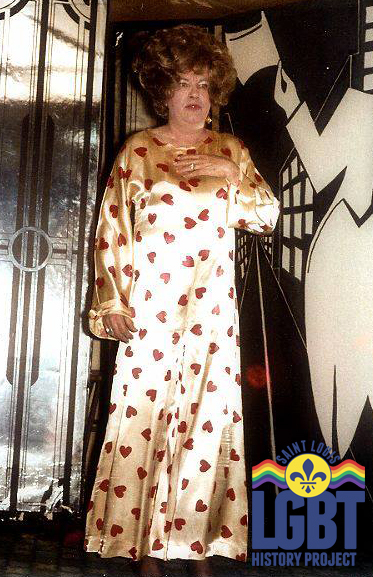 Mark, a talented artist and photographer, has provided color photographs/negatives from St. Louis' 1989 Pride and pictures of two 1970s era female impersonators (Alan Ryales and Vanessa Ames). Mark has previously donated items to the Project and says he has more treasures in closests and drawers he will set aside for us as he finds them. If you have any items to donate, please contact us. November 12, 2013: The Project thanks the Blue Max Cycle Club for the generous donation of archival materials documenting the history of their organization. The materials include meeting minutes, newsletters, special event fliers, membership forms, and applications. 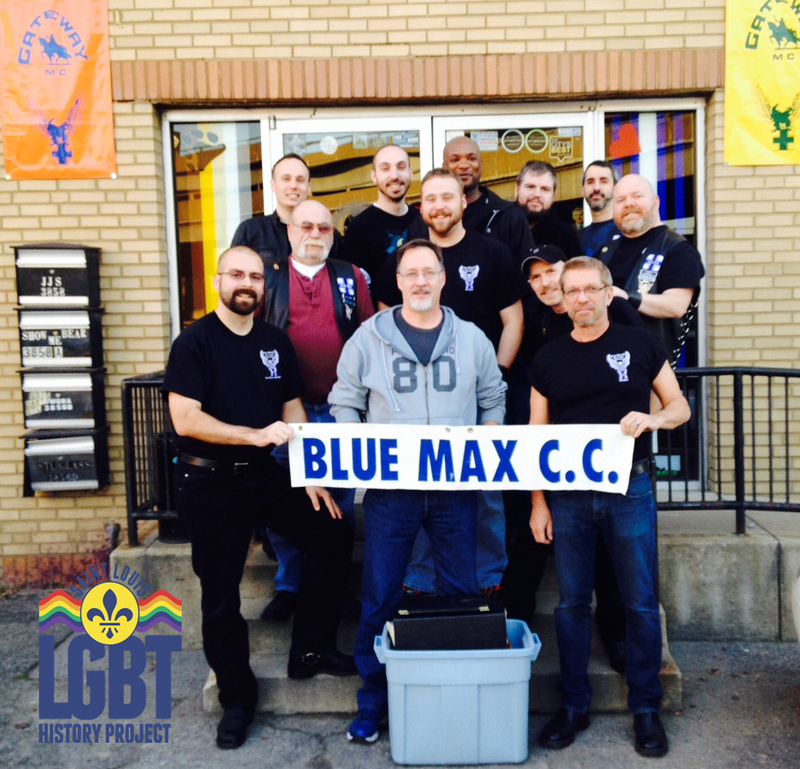 Blue Max Cycle Club is a levi-leather club in St. Louis, Missouri. The club was founded in 1975 by a group led by Jerry Wickham and later reorganized by Bob Garrett. The original home bar was the Red Bull in East St. Louis, Illinois. In 1978 the home bar was the Mine Shaft (downstairs at Faces) followed by Clementines in 1980 and the Outpost (later the upstairs bar was called the St. Louis Eagle) in 1993 (The Outpost/Eagle closed in December 1999 but reopened six months later under new management as the Eagle in Exile.) JJs Clubhouse has been the club's home bar since 2000. In the early years, Blue Max joined other clubs in holding joint runs. Those clubs included Gateway M.C., Spirits of St. Louis, and Bacchus. In mid-1982, each club began holding individual runs. In 1992, Blue Max became the first St. Louis leather club to admit women. Blue Max has always been committed to charitable causes. The club has a long history of hosting fundraisers and special collections for school supplies, canned foods, and holiday toys for children of families affected by HIV/AIDS. Learn more at www.bluemaxcc.org. 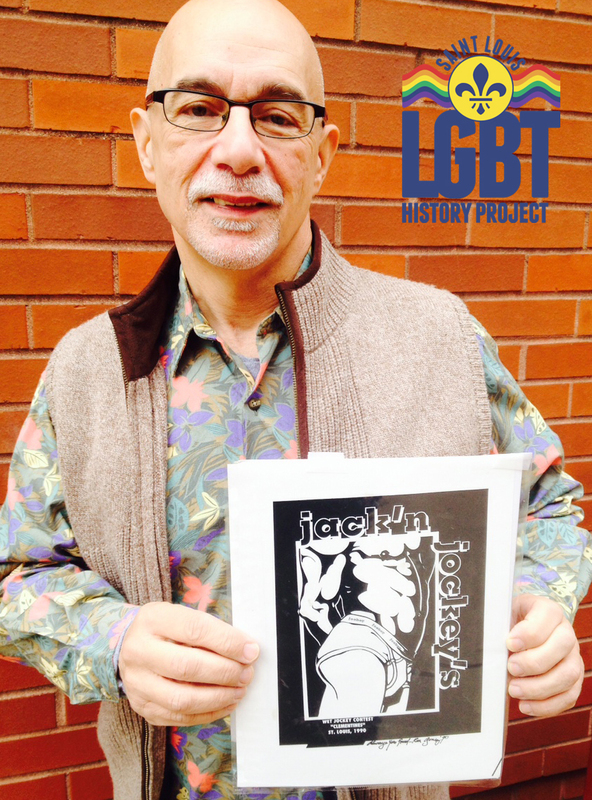 October 28, 2013: As this year's LGBT History Month winds down, the Project is pleased to announce some new donations. First, Dennis Goffin is donating a photo album of color images documenting his association with various leather clubs across America, including Blue Max MC of St. Louis. Dennis is also helping the Project get in touch with several people who may also have additional pictures and artifacts to share. Second, the Project thanks Sam Maronie for donating artwork by Ron Gomez for a 1990 Clementine's "Wet Jockey Contest" ad. The Project is always on the lookout for St. Louis LGBT related artifacts ranging from t-shirts and buttons to pictures and videos. We are working on some exciting new community partnerships to help promote and preserve our history. Thanks again for your support. October 15, 2013: Check out some great LGBT History Month related stories in the current issue of the Vital Voice. Executive Editor Colin Murphy interviews Rodney Wilson, who founded LGBT History Month in 1994. Murphy also has a great feature on the history of Halloween in St. Louis and the important role this holiday has played in our LGBT past. 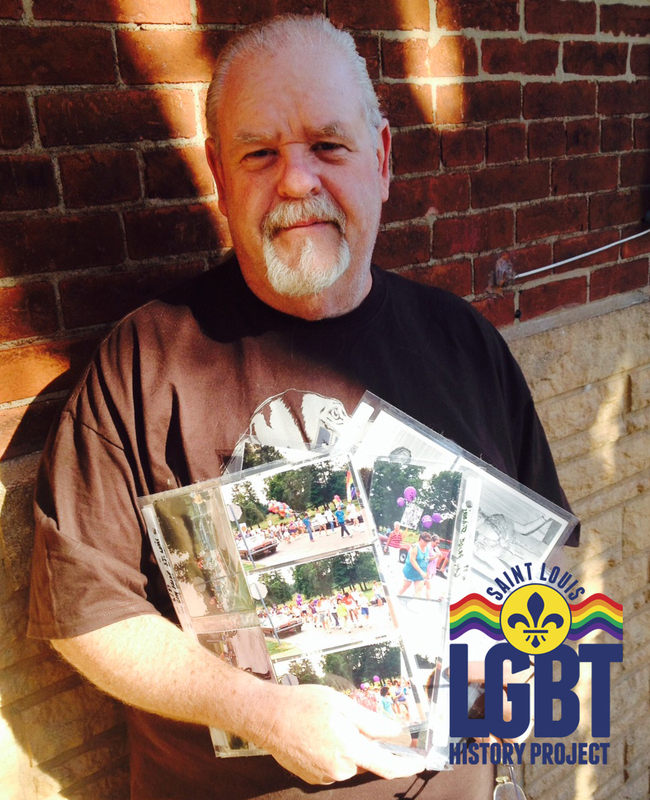 And don't miss Chris Andoe's tales of LGBT haunts around St. Louis. Please have a happy and historic Halloween season. Picture: Midnight Annie (Owen Roach) whose ashes are entombed in the walls of Clementines Bar in Soulard.